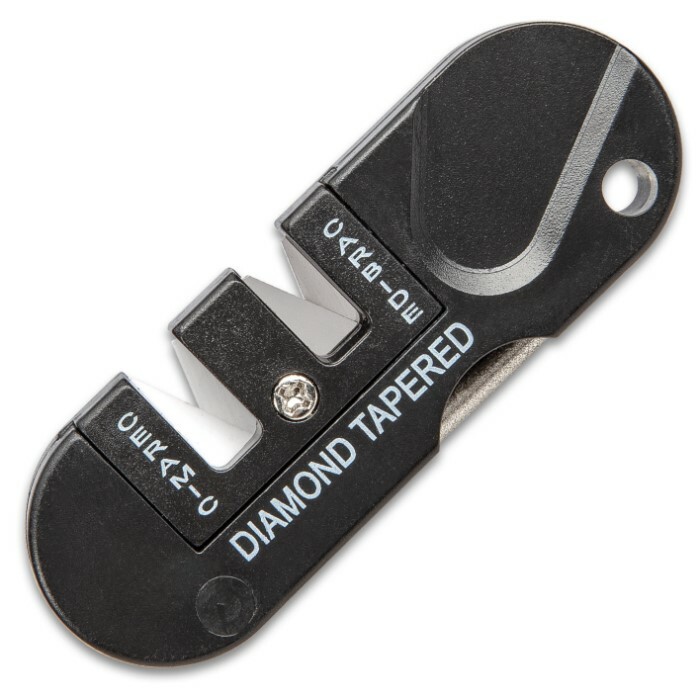 Sharpen It Up Knife Sharpener - TPU Housing, Ceramic, Tungsten Carbide, Diamond Tapered Rod, Lanyard Hole - Length 3 1/4” | BUDK.com - Knives & Swords At The Lowest Prices! 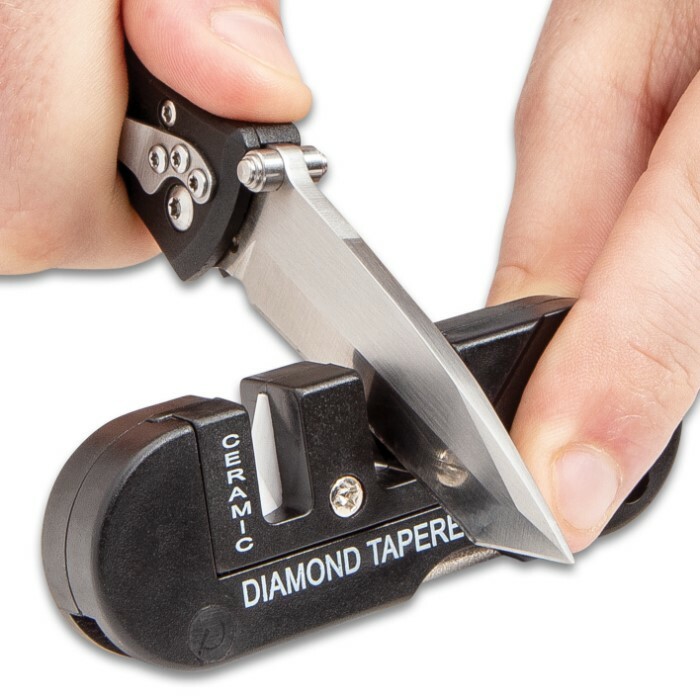 Our Sharpen It Up Knife Sharpener is a conveniently compact tool you can carry with you to make sure that your knives stay razor-sharp wherever you are. A few strokes on the tungsten carbide will give immediate first aid to your extra dull blade and the ceramic sharpening rods will polish it to a razor’s edge. 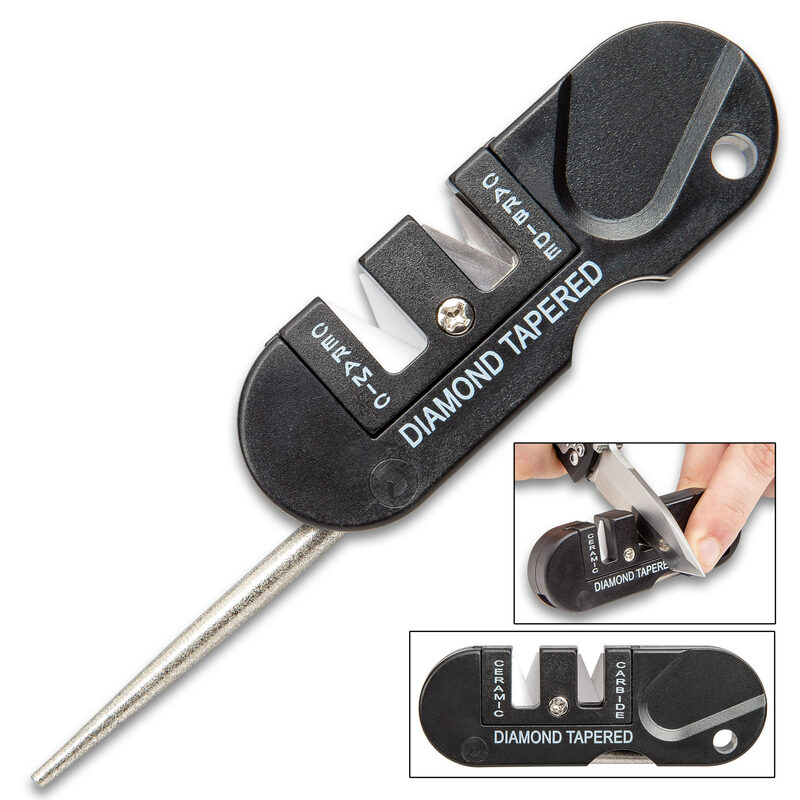 When you just need quick maintenance and reconditioning of your blade, the fold-out diamond tapered rod does the trick. 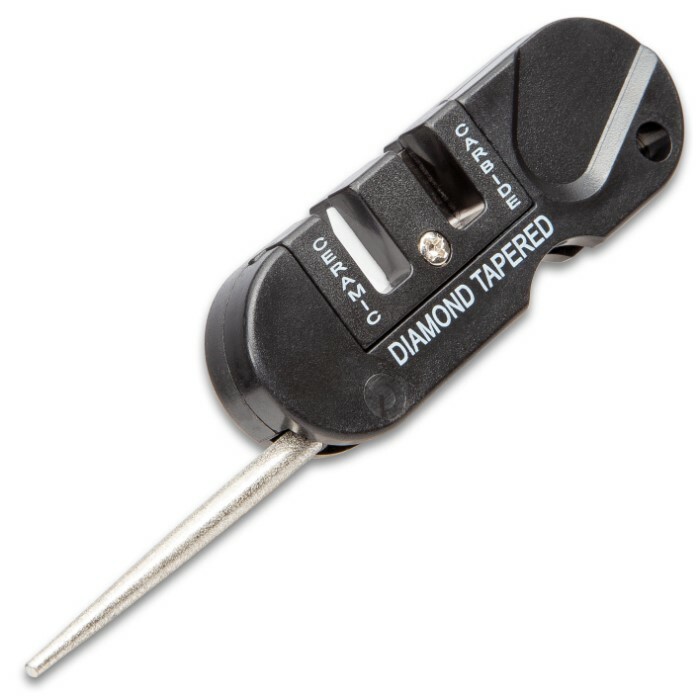 The 3 1/4” mini sharpener repairs and hones a variety of knives quickly and easily and the convenient lanyard hole allows you to attach it anywhere you need it. I don't buy these too often so I'm not sure if it's a great deal. However it is a good product. I've sharpened dozens of knives etc dozens of times with this thing and it's not showing any wear yet.